We all live, for now, on Earth. That means understanding the planet using geography, environmental science, and geology is important for understanding our history and our future. The problem is, the planet is large and class sessions are only so long. As I study volcanoes, the places I want to talk about are far away, and frequently dangerous (eruptions, harsh weather etc.). Thankfully, technology has come a long way to help us bring the planet, in very tangible forms, into the classroom using one of my favorite tools, Google Earth. Google Earth lets us, through the desktop application or web application, travel anywhere we want during a class session. This allows us, as teachers, to relate students’ own back yard, to anywhere else in the world, and back again, in a single lesson, or throughout the school year. 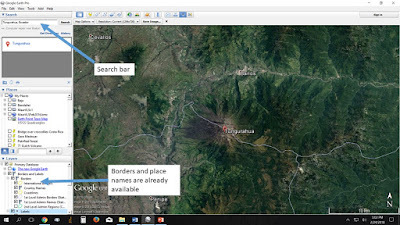 Google Earth is a simple Geographical Information System (GIS) that is used in geography, geology, infromatics, public health, homeland security, wildlife and ecology studies, law enforcement, utilities, and political science. 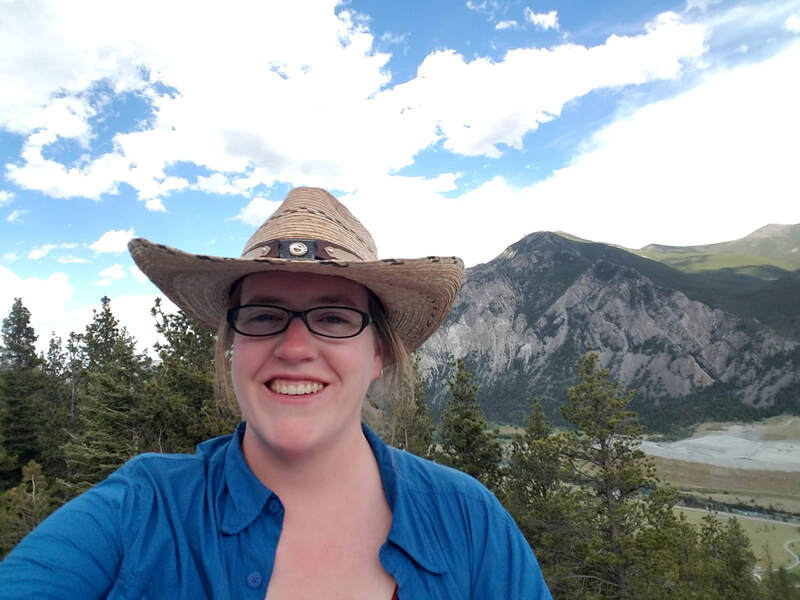 Knowing how to use GIS is a highly marketable skill for our students and the sooner we introduce them to it, the more than can apply it beyond the classroom. Even better, Google Earth is user friendly and only has the tools that are used most often, making it easy to introduce to students and have them using it within a single class session (30-50 minutes). Additionally, numerous teachers have already developed lessons and exercises that are easily adapted to whatever topic you wish to incorporate (Sample Lesson, Scavenger Hunt). The rest of this blog is about how I use Google Earth in my introductory and upper level class undergraduate courses and personal research, but I have also helped sixth graders incorporate Google Earth into their Earth Science projects and have had great success taking these same exercises and using them at science outreach events where much younger participants, with no preparation, benefit from the exposure to Google Earth. 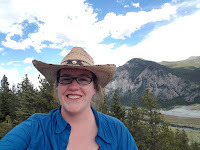 I use Google Earth in all of my classes from Introductory Geology, Volcanology, and even the writing intensive senior seminars for Geography, Environmental Scientists and Geologists. We use Google Earth in class, with homework assignments, and in student presentations. The first step is always to introduce students to their own backyard. 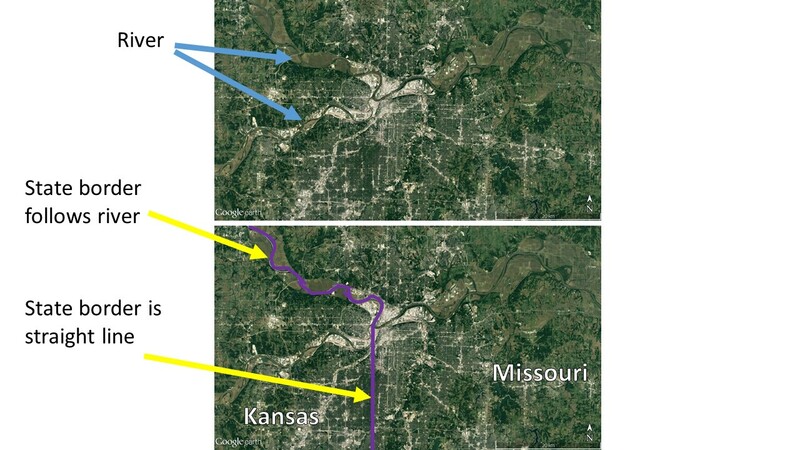 In Kansas City we have two large rivers that dominate the landscape, but many students have no idea how to recognize their hometown from a satellite image until we take the time to look. This is a great opportunity for students to practice observations skills. They can turn the concept of a long squiggly dark thing to a river, then figure out where school is, their favorite park, their house. Suddenly the complicated becomes familiar. It is then an easy step to jump to what we were there to talk about, landscape and politics. Kansas City is split by the state line between Missouri and Kansas. 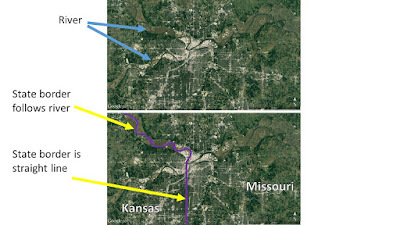 The Kansas City Metropolitan area includes both sides of this border, with the larger portion in Missouri, annoying students on Geography quizzes since 1850. This border partially follows the Missouri River, easily noted on the satellite image, and then turns south in a wholly human construct. Google Earth Image of Kansas City with 20 km scale bar. Using the landscape students are familiar with is a good way to introduce them to Google Earth and even discuss relevant topics. This part of the border is delineated by State Line Road, but is not obvious from above. This is an important opportunity to discuss how borders are assigned and the challenges they pose socially, politically, and practically (snow removal). All we had to do to make this discussion happen was open Google Earth and navigate around with the mouse. The students are now warming up to the program and we are ready to dive into something more subject specific. I then take students on a tour of some location that matches what we are discussing in class. We could find another river, in the US or half way around the world, to compare and contrast the locations. We can travel to various volcanoes and find examples where political boundaries dividing the volcano in half (a common occurrence)! Tungurahua (toon gu rah wa) Volcano in Ecuador is divided by a political boundary between to provinces (similar to our US states). This is an easy way to get students to start thinking about how different places are similar to home, but get them to think about how each place is unique. Now that we’ve started looking at volcanoes around the world the options are limitless. I frequently assign students their own volcano to babysit for the semester. That is, they check if the volcano had any activity by looking at monitoring websites, webcams, and the news, then report back to the class. 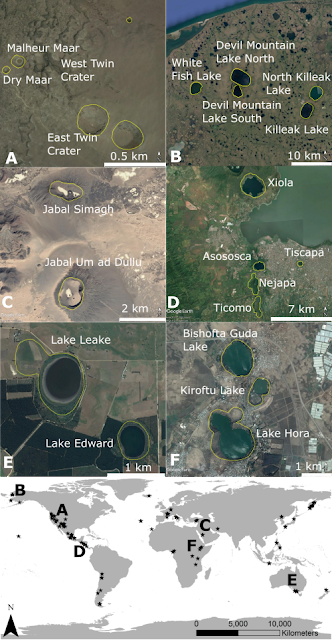 When one erupts (as volcanoes erupt frequently even if they don’t make news in the US) we can go find out where it is and test out our observation and analysis skills by looking at the landscape. We sometimes are even lucky enough for Google Earth to capture and post images of the volcano in eruption! 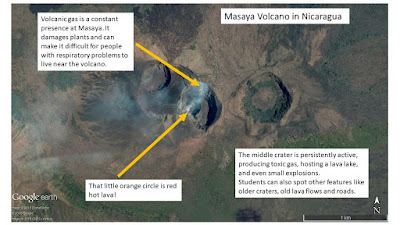 Masaya Volcano in Nicaragua has lots of exciting features that we can see in Google Earth. Note how much closer this image is than the previous images. Google Earth is good at many scales! In my research I use Google Earth because it is low cost and accessible. I can have students conduct research with minimal training, and they can work at home or at school. My particular interest is a type of small volcano that doesn’t build up a cone, like the volcanoes you think of normally. Instead they have lots of explosions before the magma reaches the surface of the Earth and produce small craters. I am interested in the size and shape of these craters as they preserve evidence of those explosions. We need more information on these past eruptions to be prepared for future eruptions. By using Google Earth imagery I’ve been able to study 250 of these volcanoes so far, mainly through student research projects, and am hoping to reach 500 in the next few years. My research focuses on small volcanoes that don’t build cones, but rather make craters at ground level. They are smaller than caldera type volcanoes, like Yellowstone and Crater Lake. They look like unassuming lakes, but are the result of lots of explosions. I study their shape, size and distribution all over the planet, and Google Earth is an excellent tool to do this. A) Oregon, B) Alaska, C) Saudi Arabia, D) Nicaragua, E) Australia, F) Ethiopia. Sketchnoting is described as a method of note-taking incorporating images and text. It is not a new concept by any means. People have been sketchnoting, doodling, visual-note-taking for quite some time the only difference now, is there is science that supports why it is beneficial. There are a few theories out there that support the “why” of sketchnoting. One being, The Dual Coding Theory. Psychology professor Allan Paivio proposed that verbal and nonverbal processing were necessary for learning. “In one experiment, participants saw pairs of items that differed in roundness (e.g., tomato, goblet), and were asked to indicate which member of the pair was rounder. The objects were presented as words, pictures, or word-picture pairs. The response times were slowest for word-word pairs, intermediate for the picture-word pairs, and fastest for the picture-picture pairs.” Another theory is that of The Drawing Effect from Wammes, Meade, and Fernandes. This theory believes "that drawing improves memory by encouraging a seamless integration of semantic, visual, and motor aspects of a memory trace." The connecting tissue for both theories is that sketchnoting is beneficial to our brain. So, what exactly goes into sketchnoting? There are a few elements that one must think about and incorporate into their sketchnote, i.e. structure, icons/images, connectors, and typography are just a few of the elements. Before you even get started it is important to know that sketchnoting is personal. The elements that you pick are based on what works for you and your ability. Often times, it is the self-critiques that keep people from sketchnoting, so always keep in mind that this process is about your ability to critically think about information, and use images that are symbolic to your processing of that information. Perfection is not a target to aim towards. To get a visual of what sketchnotes could look like here are some examples from Sylvia Duckworth. For all Southern Nevada Ready 21 educators, please come out and get some hands-on practice with Sketchnoting on April 10th or April 11th.